Abstract : Characters with precise internal anatomy are important in film and visual effects, as well as in medical applications. We propose the first semi-automatic method for creating anatomical structures, such as bones, muscles, viscera and fat tissues. This is done by transferring a reference anatomical model from an input template to an arbitrary target character, only defined by its boundary representation (skin). The fat distribution of the target character needs to be specified. We can either infer this information from MRI data, or allow the users to express their creative intent through a new editing tool. The rest of our method runs automatically: it first transfers the bones to the target character, while maintaining their structure as much as possible. The bone layer, along with the target skin eroded using the fat thickness information, are then used to define a volume where we map the internal anatomy of the source model using harmonic (Laplacian) deformation. 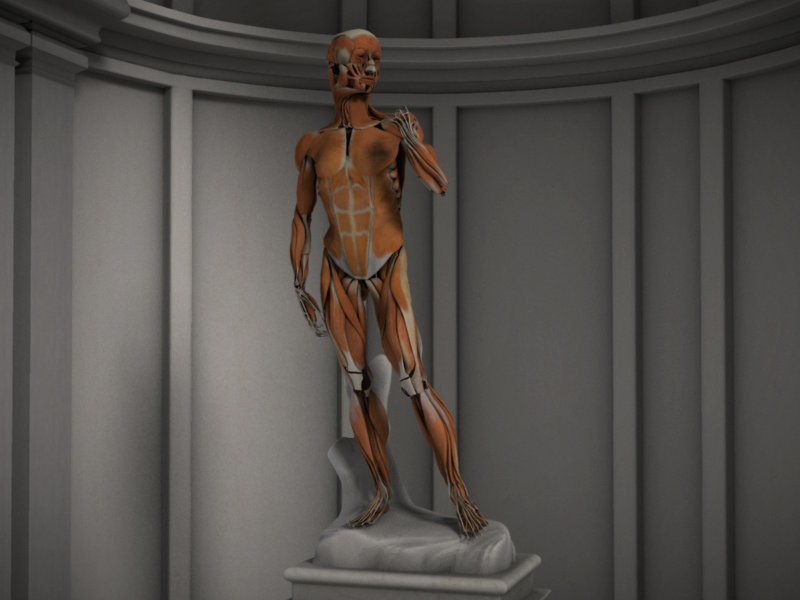 This way, we are able to quickly generate anatomical models for a large range of target characters, while maintaining anatomical constraints.